In Gear! All Natural Shaving Cream Home | About Us | Opportunities | Sponsorships | Contact Us! This week we had the privilege of experiencing the amazing handmade men’s all natural shaving cream and face wash from Erzulie Cosmetics. This two-in-one product allows you to get a clean shave while hydrating and cleansing the skin at the same time – hassle free! The consistency is top notch, the fragrance is perfect, and the price makes it easy to add to your personal care arsenal. Enjoy our review of Hydrapure! One of the main reasons we love this product is that it goes above and beyond in the all natural department. When you use Hydrapure, you’ll be supporting artisan-made small batch work that uses ingredients the big-box labels can’t compete with! Hydrapure is loaded with organic ingredients including the ever-popular green tea extract. 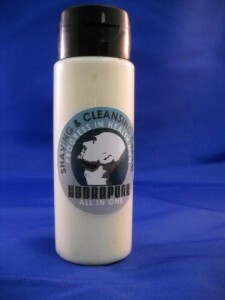 It’s sulfate-free meaning that it won’t dry out your skin or facial hair like so many other products will. The high vitamin A, C, and E elements make it soothing and nourishing for your skin so that you end up with healthy looking skin without extra hassle. Hydrapure is made without the use of parabens, glycols, PEG’s, or unnatural preservatives. Naturally perfect! You can use Hydrapure men’s all natural shaving cream and face wash in the same manner you’d use a cream, soap, or foam shaving product. get your skin wet and warm, apply the product, then shave gently. You can also use this product for an easy and effective face washing as needed! Scent is important to most men, and this product got it right. 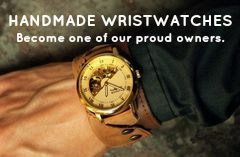 Sandalwood and vanilla tones create a warm, clean, and masculine aroma that lasts and works well with other fragrances. We’re fans! 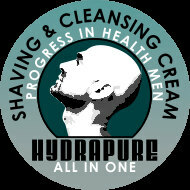 Hydrapure men’s all natural handmade shaving soap and face wash gets 5-stars in every regard, and the price makes it an easy decision for any guy who wants a better shave, healthier skin, more natural products, and the pride that comes from supporting artisans and small batch work. Go get it! Other great items from Erzulie Cosmetics include the Hydrapure Mineral Moisturizer, Aftershave Lotion, and their line of all natural handmade skin cleansers. Tagged Erzulie Cosmetics, Face Wash, in gear, Progress In Health, review, reviews, shaving cream. Bookmark the permalink. Not only women but also men need to use face cream to protect their facial skin from a lot of factors such as UV rays, wind, alternating temperatures and so on.